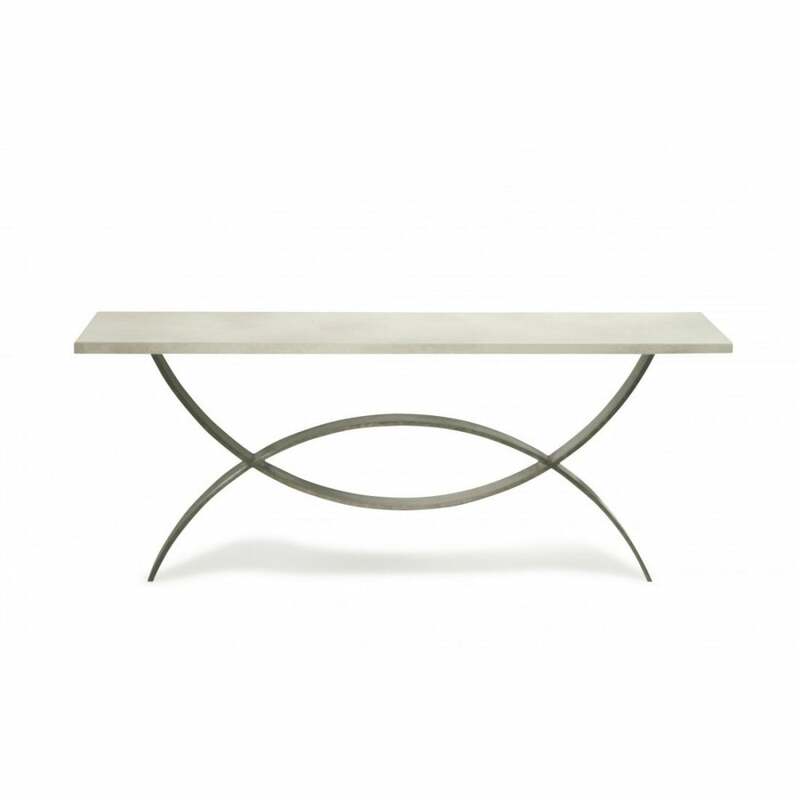 The Fishtail Console is a simple, graphic design consisting of two semicircles of forged steel. The base can be decorated in a number of different finishes and the top can be in either Faux Limestone or Black Lacquer. This piece also comes in a smaller size. REQUIRES WALL FIXING.